Five days, twelve minds, twenty-four hands, uncounted cups of coffee. What more is needed for a comprehensive, readable and attractive guide for customers, potential customers, and network engineers? 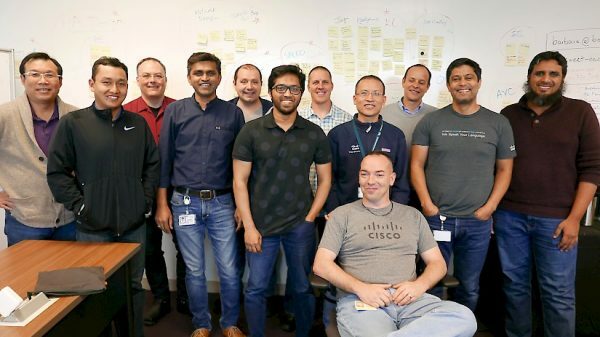 Another group at Cisco showed what is possible if bright minds come together for an intensive, distraction-free session, guided by a facilitator and supported by a production team. Today the group finished a guide book on the Cisco Catalyst 9000 family of switches, that shows the evolution of both hardware and software, its strength and usability – “For a New Era of Networking”! Congrats to the Book Sprinters! For the Book Sprints team, this is probably a record as the book with the most illustrations we have ever done. 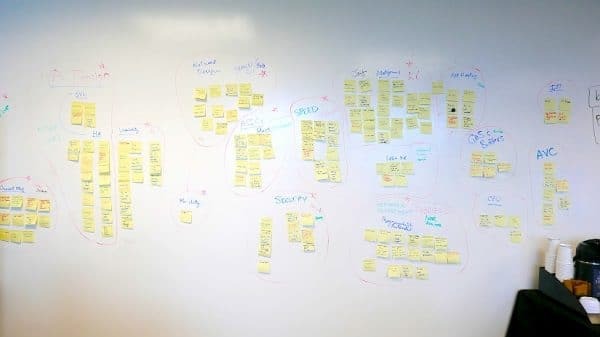 Our designer Henrik Van Leeuwen has been smoking hot on the keyboard, creating around one hundred diagrams for the book, more than ever before. Phew! 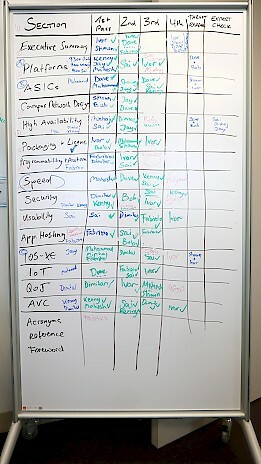 It will be printed next week and released by Cisco next month.